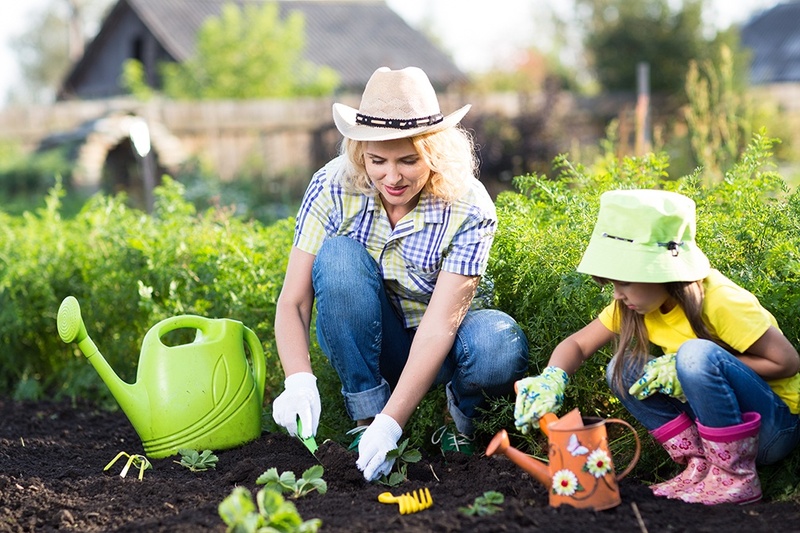 Whether you are hunting for a project that will pry the kids away from their phones or you just want a head start on the spring, few home projects are as rewarding as a vegetable garden. Invest a few hours in planting today, some maintenance throughout the year and soon you’ll be enjoying some delicious, home-grown veggies. Ready? Let’s get started! The first decision you will need to make is where your garden will live. If you are new to gardening, you can start with a small patch of land in the corner of your backyard. The area needs to have full exposure to sunlight at least six to eight hours each day. Your plants will also need watering, so ensure that your hose can reach the plot or that you have another water source nearby. Having good soil is necessary but not critical as you can buy a load of topsoil from a local nursery. You may want to invest in a composter as well so that you can make efficient use of food waste. Next, you will need to choose what you want to grow in your garden. As mentioned above, if you are new to gardening you can start small with a few simple vegetables. Tomatoes are an excellent choice as they continue to produce throughout the year and can be used in so many different types of food. Root vegetables like carrots and potatoes are also a great choice. If you like fresh herbs, consider setting aside a part of your garden for basil, thyme and other herbs. As you might imagine, you do not need very much to start a garden. Some soil, gloves, a few hand tools and seeds or starter plants are enough to get going. Take the family out for a trip to a local nursery and ask about the best plants to start in the spring. From there, a trip to one of the large home supply stores will provide you with the rest. Finally, don’t forget that this is supposed to be a fun project! If you decide you need planter boxes, try to build them instead of buying them. Figure out what you can recycle or upcycle from around your home to use in the garden. Try to avoid buying over building unless you’re stuck. Follow the steps above and before you know it, you’ll be enjoying the fruits of your labor. If you decide you need a more substantial yard, contact our offices today!